Nobody knows your trucks better than our experts. 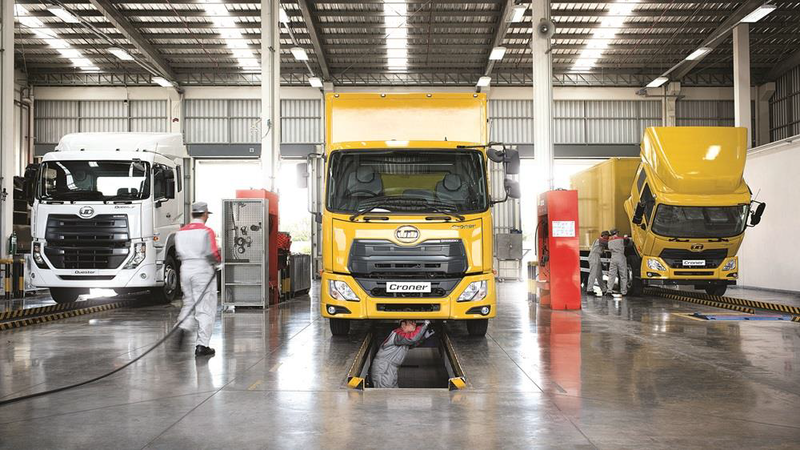 UD Genuine Service is carried out at authorized UD Trucks workshops that have highly skilled UD mechanics, access to UD Trucks equipment, and top-quality UD Genuine Parts to keep your trucks in optimum condition. We can create a pre-defined and optimized service schedule for your trucks based on your specific usage requirements. This helps to reduce workshop visits, optimize service intervals for maximum uptime and shorten maintenance tasks needed. UD-TRUST service plans are the best way to take care of your new truck while locking down costs both now and in the future. 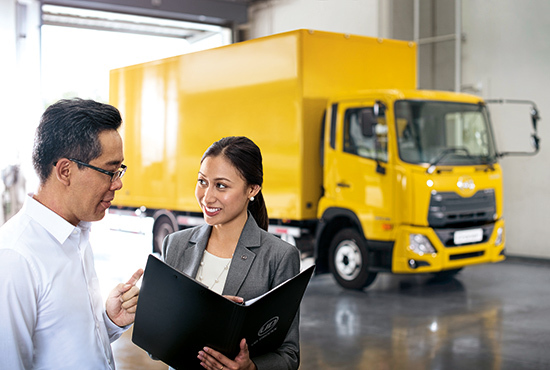 With two levels of care available for UD-TRUST, you get to maximize profits and minimize unplanned expenses, all while keeping your fleet on the road. 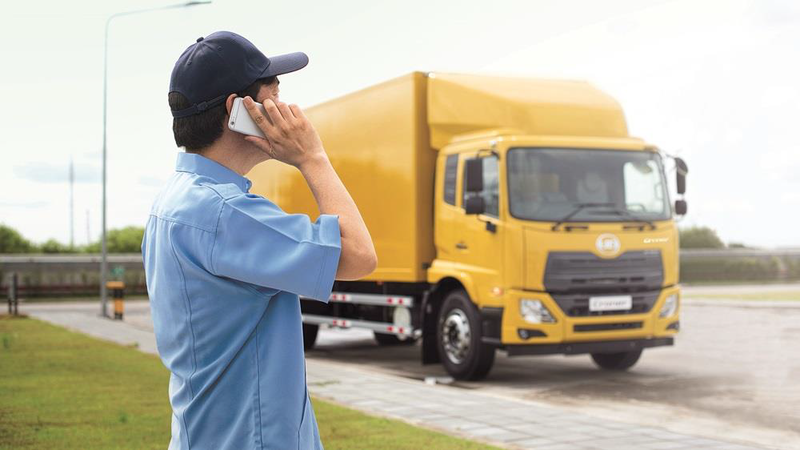 UD Telematics Services is a high-tech wireless communications system designed to help you manage your fleet effectively, keeping them on the road while reducing operational costs. It integrates four key features – Track and Trace, Fuel Utilization, Fuel Loss Alert and UD Proactive Support – into one robust, reliable system. Step 1: Book an appointment with your nearest UD workshop. 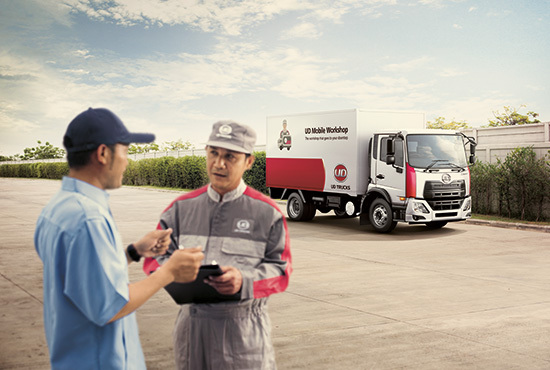 Step 2: We service your truck at a date, time and place that’s convenient for you. Step 3: Pay seamlessly after service upon receiving your invoice. Step 1: Dial the UD Road Support service hotline. Step 2: UD Service Vehicles will be dispatched to breakdown site. Step 3: Receive a maintenance report and invoice upon completion of repairs.